A friend of mine clued me into these things...apparently they sell for upwards of $400-500/ea from "known" board makers. I never heard of the game before, but it wasn't hard to design a quick Easel project to cut out the circles and do a quick cut for lines. I didn't get to adding the drilled area for posts yet. Anyone else here either a player, maker, or both? My in-laws are pretty big players of this. They always have a board set up at Christmas ans they play for hours. That blows my mind they go for that much! I think I need to get into building these! Yeah. "Basic" boards (not sure what that means) start at $200/ea from most of the places I look at. 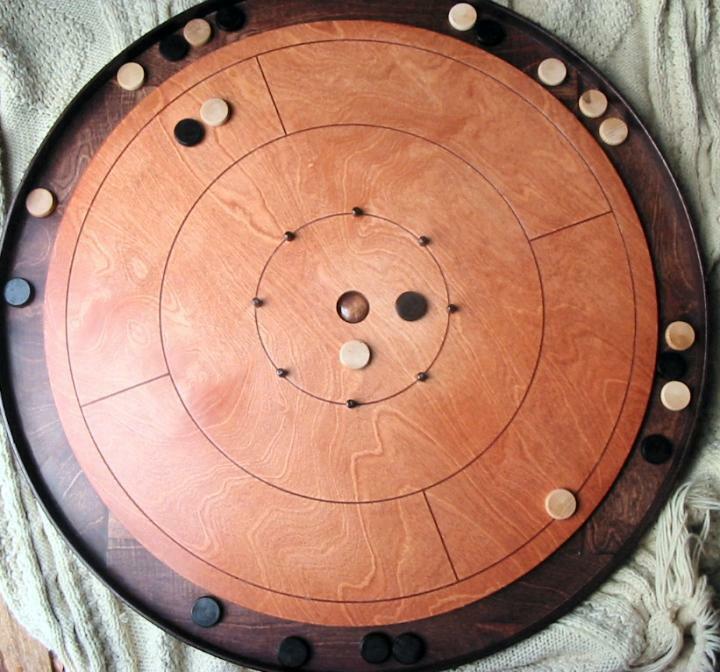 "Mr Crokinole" has one called The Executive or something on that range...$399. I've seen posts on message boards where people are paying for custom boards that are just insane. Even the Etsy/Ebay ones are going in the $125-150 range. Hmm...just watched a video on this. It looks like a fun game actually. 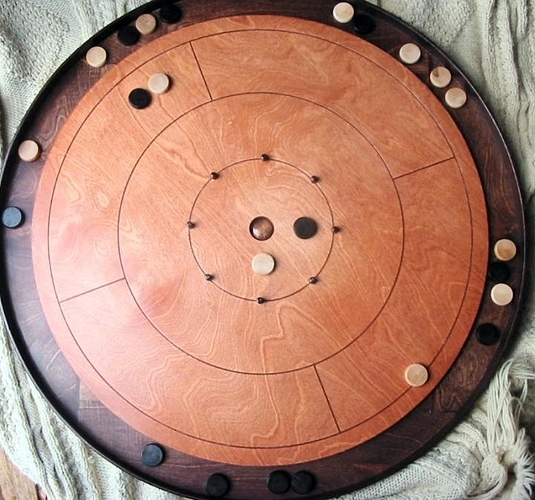 we were in Canada last week playing this game- would love to make one but the easel file link doesn’t seem to work- could you upload it again or send me direct?